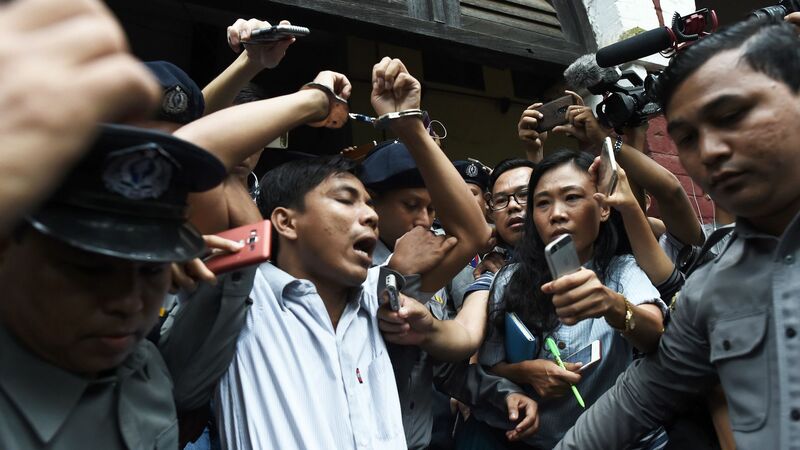 Authorities in Myanmar have arrested three journalists for publishing a story that criticized government spending, just weeks after a pair of Reuters reporters were sentenced to seven years in prison for their investigation of the Rohingya Muslim crisis, per Al Jazeera. The big picture: The disappearance of Saudi journalist and Washington Post columnist Jamal Khashoggi highlights the dangerous climate for journalists in many countries around the world at present. Saudi Arabia: Khashoggi had become critical in recent months of Crown Prince Mohammed bin Salman, who is reforming his country while cracking down ruthlessly on dissidents. At least 15 other journalists who have been arrested or abducted in Saudi Arabia in the last year, according to Reporters without Borders. Turkey is the accuser in this situation, but President Recep Erdoğan is in no position to claim the moral high ground. At 157th on the World Press Freedom Index, Turkey is ranked just 12 spots ahead of Saudi Arabia. Bulgaria: A journalist whose last broadcast covered alleged corruption involving government funds was raped and murdered. She is the fourth high-profile journalist to be murdered in the EU since 2017. Two others, Slovakia's Jan Kuciak and Malta's Daphne Caruana Galizia, were also investigating corruption at the time of their deaths. Hong Kong: The Financial Times' Asia editor was denied a visa renewal after hosting a speech by a pro-independence political leader — "the first de facto expulsion of a foreign correspondent" since 1997. 1,322 journalists have been killed as a result of their work since 1992, according to the Committee to Protect Journalists. 848 have been murdered, while 298 were killed in crossfire or combat. So far in 2018, 27 journalists have been murdered, up from 18 in 2017 and 19 in 2016. The bottom line: Per Transparency International, nine out of 10 slain journalists die in "highly corrupt" countries, while one in five die while covering corruption itself.